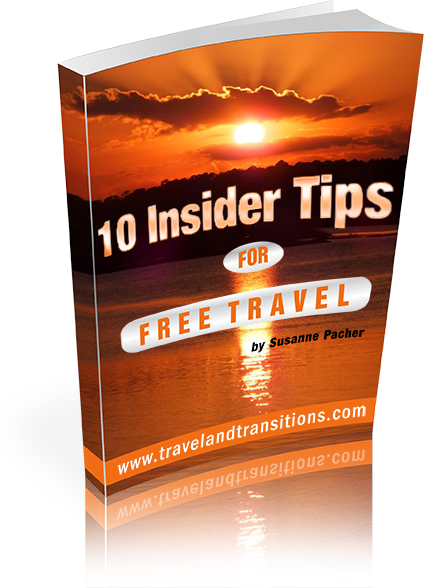 Arizona is one of the most desirable travel destinations in the United States. Nicknamed the “Grand Canyon State”, Arizona offers breathtaking vistas in many different regions. Golf in Arizona is one of the prime attractions in this state while many retirees have also made themselves at home here due to the warm and dry climate. A map of Arizona shows that Phoenix, the capital, is located in the centre of the state, within easy driving distance to California, Nevada, Utah, New Mexico and Mexico. The weather in Arizona is based on an arid climate, with mild winters and extremely hot summers. In fact, the average high temperature during summer (from June to August) is 104 degrees Fahrenheit or over 40 degrees Celsius while the average low during winter (from December to February) is 42 Fahrenheit or 5.5 Celsius. If you decide to visit Arizona in the summer, you had better bring lots of water and sunscreen. 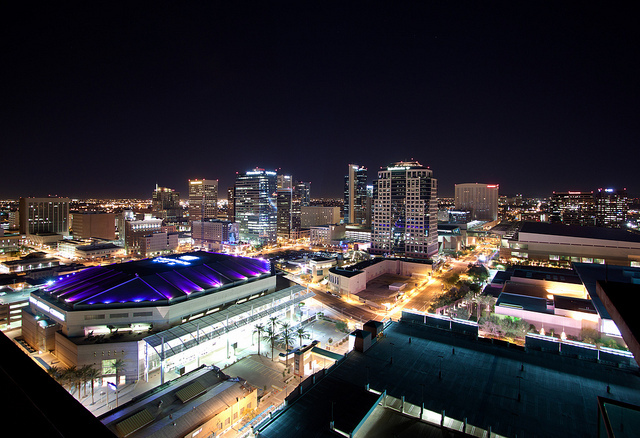 Phoenix, Arizona’s capital, is located right in the heart of the state in the northeastern part of the Sonora Desert. With institutions such as the Phoenix Symphony, the Arizona Opera and the Orpheum Theatre, the city is a center of performing arts. Other attractions include the Arizona Science Center, the Desert Botanical Garden, the Pueblo Grande Museum and Archaeological Park and the Phoenix Art Museum. Scottsdale is just 13 miles or 21 km from downtown Phoenix and a well-known Arizona tourist destination in its own right. It boasts a variety of museums and art galleries, great shopping, nightlife and gaming, and is also an extremely popular destination for golfers. In addition, Scottsdale has over 130 miles of canals that were originally built as irrigation channels by the farmers. Sedona is located about 120 miles or 190 km north of Phoenix and well known for the beautiful Red Rocks of Sedona. In addition to providing magnificent views, Sedona is also known as a location of spiritual power with New Age vortices converging at Boynton Canyon, Airport Mesa, Cathedral Rock, Bell Rock and Schnebly Hill. Tucson is Arizona’s second largest city with a population of about 520,000 people. Some of the main attractions include the Arizona-Sonora Desert Museum, the Saguaro National Park with its iconic cactus forest, the Mission San Xavier del Bac (which dates back to 1797), the Pima Air & Space Museum with more than 250 historic aircraft and the Tucson Botanical Garden. The city is also extremely well known for the Tucson Gem Show where mineral, fossil and gem buyers and sellers come together every winter. 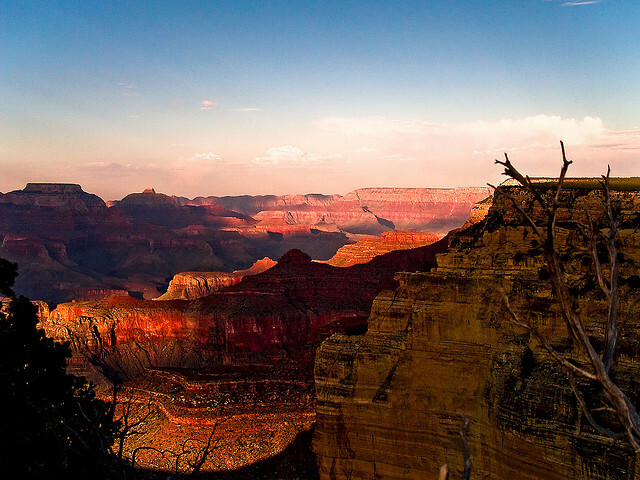 Grand Canyon National Park, about two hours north of Sedona, is synonymous with Arizona. As one of the seven natural wonders of the world, it is among the most treasured travel destinations in the United States. The canyon’s massive scale and colorful rocks date back to Precambrian times and will captivate you with their rugged beauty. There are two primary areas to visit: the North Rim attracts less visitors and offers higher-altitude lookout points while the South Rim is the most visited area and more easily accessible. The South Rim features the Desert View Watchtower, one of the Grand Canyon’s most well-known sights, as well as the Grand Canyon Skywalk, whose glass bottom floor will allow intrepid travelers to experience a visual drop of 4,000 feet or 1,200 meters. Monument Valley is another impressive natural wonder. 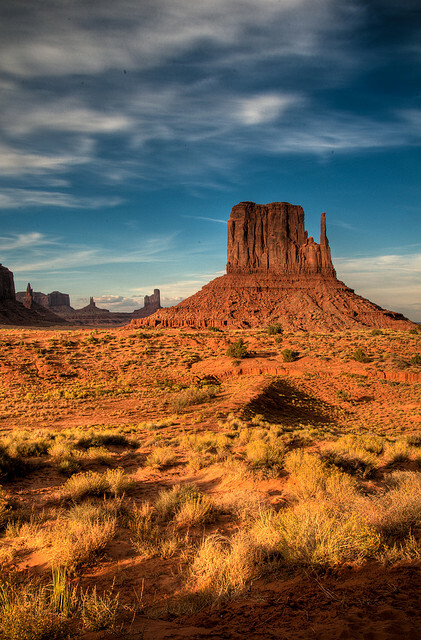 Located on Navajo territory near the Arizona – Utah border, this arid region has served as the backdrop for many western movies. The characteristic reddish sandstone butte formations (rocky outcrops with flat tops and vertical sides) stand out from the surrounding Colorado plateau, creating an almost surreal impression. The highest outcropping towers 300 meters above the surrounding valley floor. There are various guided tours as well as horse rides available to explore Monument Valley Navajo Tribal Park. 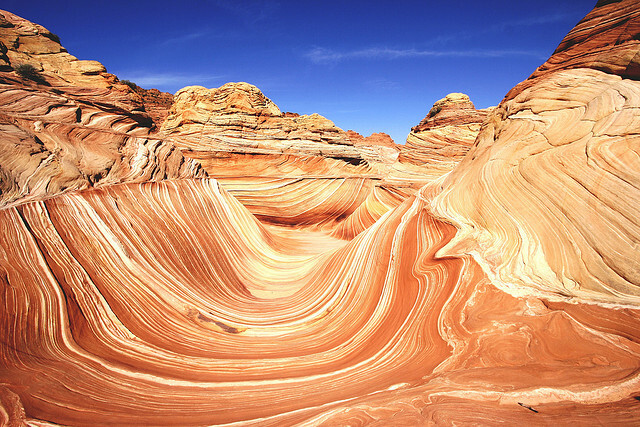 The Wave is a remarkable sandstone formation in the Paria Canyon-Vermilion Cliffs Wilderness area near the Arizona and Utah border. Its U-shaped troughs have been eroded into Jurassic age Navajo Sandstone and are an extremely popular draw with photographers. Access to this natural wonder is restricted: there are only 20 permits half of which are given away by lotteries more than four months in advance while the remaining permits are made available the day before a visitor’s intended hike. Lake Havasu at the California – Arizona border is another important tourist destination. One of the most well-known attractions is the London Bridge in Lake Havasu City. Built in 1831 to span the River Thames in London, this bridge was purchased by a local oil tycoon in 1962 and was re-assembled between 1968 and 1971. After the Grand Canyon, this is the second most visited tourist attraction in Arizona. Arizona travel opportunities include lively urban destinations, extensive sports opportunities and unique natural formations. The vistas found in Arizona will stay in your memory for a lifetime.